Manitou Foundation with its partners plans to establish a Native American Center and Ceremonial Lodge to honor the First Peoples and to provide a place for empowering, maintaining and passing on traditional wisdom and native language, reconnecting Native American youth to sacred traditions and to promote best practices for sustainable living and economic models in indigenous communities. It will also serve as a gathering place for ceremony, song, dialogue, native seed banking, traditional sports and to share traditional wisdom to deepen our understanding of the natural world in order to create a monumental shift towards creating balance and restoration on the planet. Manitou Foundation will assist in and is looking for partners to create a Native American Center and Ceremonial Lodge for Inter-Tribal Nations to gather for ceremony, song, dialogue, Native seed banking, traditional sports and to share their lineage of traditional wisdom with the greater global community to deepen our understanding of the natural world in order to create a monumental shift towards creating balance and restoration on the planet. The San Luis Valley is known as a ‘cultural crossroads”, as historically, many Native American groups came here from many different regions. The Valley is part of the Four Corners Region, where the Sacred Eastern Mountain is situated and according to the Hopi, “where the light comes into the world” – “Hopaqw Tukawi”. It is recognized as Hopi Territory or Sipapu, “Place of Emergence.” Later, the Ute, Apache, Kiowa, Navajo and Comanche came, primarily for healing ceremonies, vision questing, hunting, collection of food and medicines,and rights of passage for Native American youth. The Navajo called the San Luis Valley the “Bloodless Valley,” a place where many tribes engaged in ceremony but never shed blood. The First Peoples have always lived in balance and have had a holistic relationship to the land. Over the last four decades many Native American medicine people have returned to this land for ceremony and recognize the valley as a place of great spiritual significance and a highly potent place for transformation. It is known as the Sacred Center of Turtle Island. 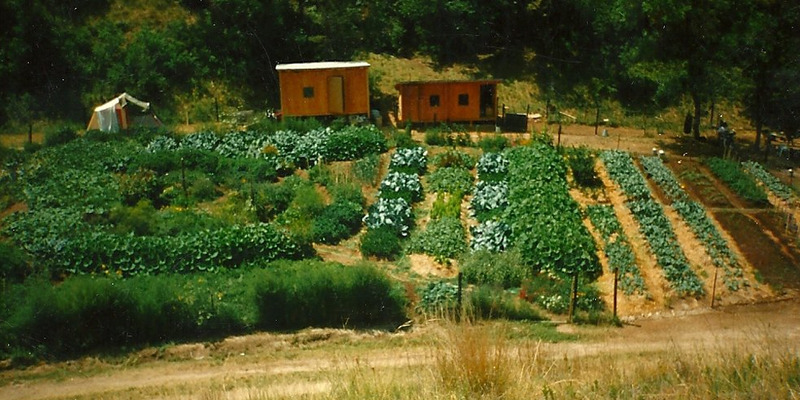 Manitou Foundation's mission for its hermitage program is to create opportunities for those who wish to develop their highest human potential through solitary retreat. The Foundation provides independent, longer-term rustic solitary hermitage retreat opportunities for all denominations. There are 2 existing cabins located in the remote wilderness setting of the Sangre de Cristo Mountains. Prior to the creation of the Manitou Foundation, founders Hanne & Maurice Strong gifted their personal land holdings to various wisdom traditions, great philosophers and thinkers including: the Spiritual Life Institute (Carmelites), the Aspen Institute, His Holiness the 16th Karmapa - Karma Thegsum Tashi Gomang, Lindisfarne Association, the School of Sacred Geometry and the Haidakhandi Universal Ashram. This provided the inspiration to establish a family foundation dedicated to creating an Inter-faith community for contemplative retreat and practice. 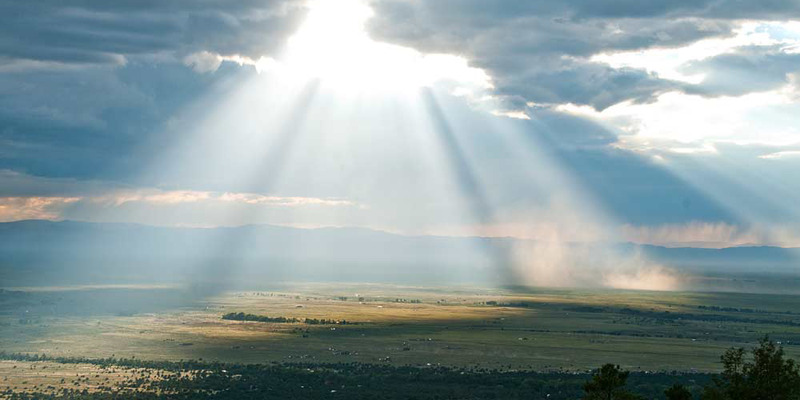 Hanne and Maurice provided land grants and financial support in Crestone/Baca, Colorado, to religious and spiritual projects, ecological and environmental projects, and related educational endeavors, since 1979. The Foundation has since discontinued the Land Grant Program as all available parcels have been granted. Beginning in 1995, the Foundation expanded its mission to the development and implementation of a comprehensive Habitat Conservation Plan, placing most of its remaining land holdings into permanent conservation. 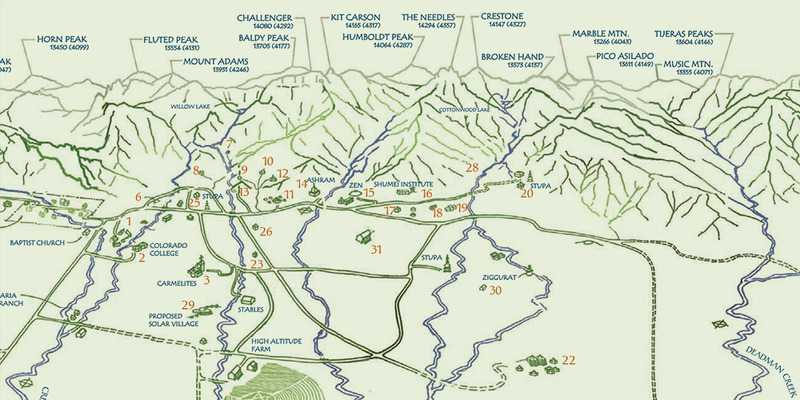 The Manitou Institute holds the conservation easements on the Foundation's land. In accepting ownership of Foundation land, grantees and purchasers become partners with the Foundation, working collaboratively on development of their centers, environmental stewardship plans and projects, and any mitigation required to minimize the impacts of human activities to optimize the health and preservation of the land. Manitou staff completes planning and site visits to monitor and support development and land use in alignment with the approved purposes of the land grants, or terms of sale, and the requirements of the E&A practices and conservation easements (CE). The United Nations Conference on Human Settlements, also known as Habitat I, was the first major United Nations conference where the global community met to discuss the growing challenges of urbanization, the accelerating human migration from rural to urban areas, urban problems including clean water, sanitation, poverty and homelessness, as well as the emergent field of sustainable urban design – issues just as pressing today as they were over three decades ago. 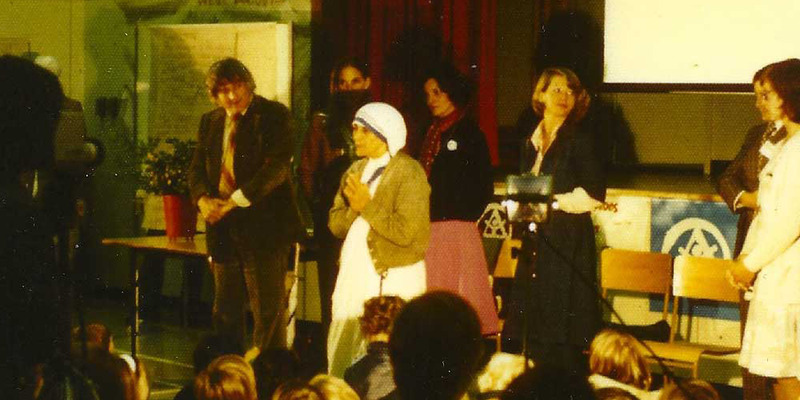 Mrs. Strong organized the first "Wisdom Keepers” a platform created for children and youth to address prevalent global issues at the United Nations Plenary; Mother Teresa co-convened the conference at Mrs. Strong’s invitation and participants included Vandana Shiva, Wangari Maathai, and Barbara Ward. In 1992, Mrs. Strong organized and chaired two conferences during the United Nations Conference on Environment and Development (UNCED), also known as the Earth Summit, entitled, “the Sacred Earth Gathering” and “the Wisdom Keepers Convocation” in Rio de Janeiro, Brazil. Participants of the Sacred Earth Gathering formulated the “Declaration of the Sacred Earth Gathering” which was presented to the Heads of State on the opening day of the official conference. She also launched the Earth Restoration Corps (ERC), a global environmental educational training program she founded, designed to train young adults in ecosystem restoration and green livelihoods. "We are reminded by the Declaration of the Sacred Earth Gathering, which met here last weekend, that the changes in behaviour and direction called for here must be rooted in our deepest spiritual, moral and ethical values. We reinstate in our lives the ethic of love and respect for the Earth which traditional peoples have retained as central to their value systems. This must be accompanied by a revitalization of the values common to all of our principal religious and philosophical traditions. Caring, sharing, co-operation with and love of each other must no longer be seen as pious ideals, divorced from reality, but rather as the in dispensable basis for the new realities on which our survival and well-being must be premised. Science and technology have produced our knowledge-based civilization. Its misuse and unintended effects have given rise to the risks and imbalances, which now threaten us. At the same time, it offers the insights we need to guide our decisions and the tools we need to take the actions that will shape our common future. The guidance which science provides will seldom be so precise as to remove all uncertainty. In matters affecting our survival, we cannot afford to wait for the certainty, which only a post-mortem could provide. We must act on the precautionary principle guided by the best evidence available”. The planet Earth is in peril as never before. With arrogance and presumption, humankind has disobeyed the laws of the Creator, which are manifest in the divine natural order. The crisis is global. It transcends all national, religious, cultural, social, political and economic boundaries. The ecological crisis is a symptom of the spiritual crisis of the human being, arising form ignorance. The responsibility of each human being today is to choose between the force of darkness and the force of light. We must therefore transform our attitudes and values, and adopt a renewed respect for the superior law of Divine Nature. Nature does not depend on human beings and their technology. It is human beings who depend on Nature for survival. Individuals and governments need to evolve "Earth Ethics" with a deeply spiritual orientation or the Earth will be cleansed. We believe that the universe is sacred because all is one. We believe in the sanctity and the integrity of all life and life forms. We affirm the principles of peace and non-violence in governing human behavior towards one another and all life. We view ecological disruption as violent intervention into the web of life. Genetic engineering threatens the very fabric of life. We urge governments, scientists and industry to refrain from rushing blindly into genetic manipulation. We call upon all political leaders to keep a spiritual perspective when making decisions. All leaders must recognize the consequences of their actions for the coming generations.We call upon our educators to motivate the people towards harmony with nature and peaceful coexistence with all living beings. Our youth and children must be prepared to assume their responsibilities as citizens of tomorrow’s world. We call upon our brothers and sisters around the world to recognize and curtail the impulses of greed, consumerism and disregard of natural laws. Our survival depends on developing the virtues of simple living and sufficiency, love and compassion with wisdom. We stress the importance of respecting all spiritual and cultural traditions. We stand for preservation of the habitats and life styles of indigenous people and urge restraint from disrupting their communion with nature. The World Community must act speedily with vision and resolution preserves the Earth, Nature and humanity from disaster. The time to act is now. Now or never. During Habitat II, the second United Nations Conference on Human Settlements, Mrs. Strong organized Wisdom Keepers III, in which authors, educators, indigenous people, spiritual leaders, youth representatives and journalist gathered to deliberate the challenges facing the human community. Wisdom Keepers III was an officially recognized parallel forum to the United Nations Conference on Human Settlements (Habitat II). Approximately 50 Wisdom Keepers including Pir Vilayat Inayat Khan, Wangari Maathai, Chief Oren Lyons and Dr. A.T. Ariyaratne participated in the forum. Themes deliberated during the Forum included: Human Community in the Urbanizing World; Towards Adequate Shelter for All; The Erosion of the Social Fabric; and the Need for Intercultural and Interfaith Dialogue. Habitat II addressed two major themes: "Adequate shelter for all" and "Sustainable human settlements development in an urbanizing world". The conference also addressed poverty, unemployment, homelessness, drugs and violence. Hanne Strong and Dave Courchene “Leading Earth Man” organized the "Gathering of the Four Races" at the Dead Sea. The gathering took place near the Qumram Caves where the Dead Sea Scrolls were discovered in 1946/47. 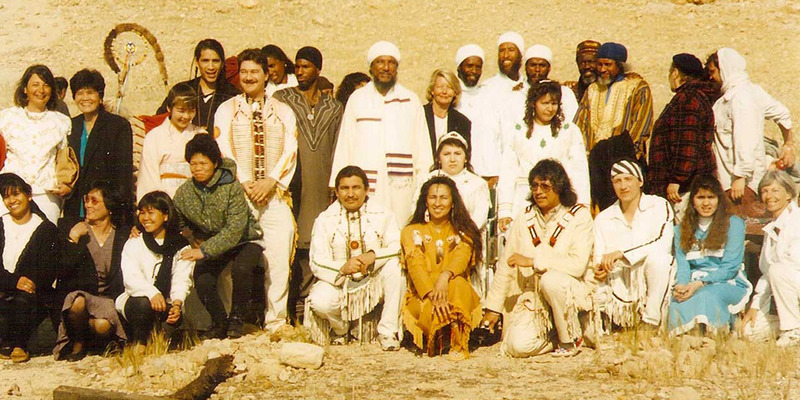 The event took place on Easter morning in 1994 to fulfill an Anishinaabe Prophecy which predicted that the four races of mankind would come together in prayer – they were to gather in the Holy Land to bring in the spirit of “Peace & Truth”. The Earth Restoration Corps was one of many NGO presenters at Rock in Rio III - sharing its program initiatives with thousands of eager youth - merging music with real life ”social and environmental" issues impacting global youth. The “Roberto Medina formula,” so to speak, delivered an event with personality and heart. Directly connected to the country’s socio-political climate, which at the time was emerging from nearly 20 years of military dictatorship, the festival supported a new generation of artists reviving national music. In its pioneering form, Rock in Rio was designed to create an open space for celebration, commentary, and questions that reflected the issues of the day. But the festival existed in concept only, and needed its own home, a place to give proper form to its spirit. For this reason Roberto Medina designed and built the City of Rock, an innovative and gigantic 61-acre complex. This included a unique lighting system that focused on the audience—a feature celebrating the fans, which has now become a global trend. Many NGO’s across the globe participated and shared initiatives that embrace and lift the human spirit. On the 20th of June 2012, the opening day of Rio+20, Hanne Strong organized an interfaith sunrise ceremony to pray for Mother Earth and all its inhabitants. This gathering was held in a sacred location, Nova Terra Village outside of Rio de Janeiro. An invitation was extended to the world community to join in prayer from their location. The Treasure Vase Ceremony was performed and according to Buddhist tradition, prayers and intentions are multiplied a thousand-fold. People from all over the world gathered together during the ceremony as the Earth Treasure Vase was prepared and buried.. The tradition comes from Tibet, where many centuries ago, Guru Padmasambhava prophesized this remedy for healing the Earth and removing the suffering of all beings in times of degeneration. Each vase holds the power to pacify anger and warfare, improve health, magnetize abundance, remove obstacles to long life, and increase wisdom for all beings.. The creation of the Treasure Vases is an ancient remedy where the five essential elements (earth, water, fire, air and space) can be brought back into balance and the planet’s vitality replenished. During the ceremony, Earth Guardians youth activist, Xiuhtezcatl Martinez, planted the Sacred Tree, fulfilling one of Guru Rinpoche’s most sacred prophecies. 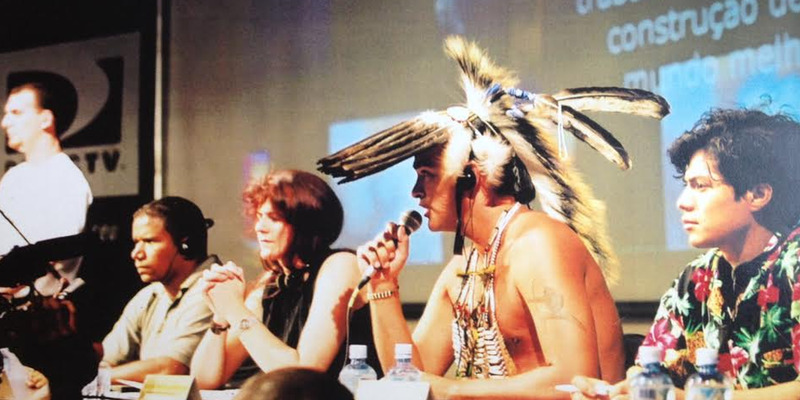 In 2002, the Acre Association of Indigenous Agroforestry Agents (Associação do Movimento dos Agentes Agroflorestais Indígenas do Acre/AMAAIAC) was formed and worked with Brazil’s state government to provide a part-time salary for indigenous agroforestry agents. The agroforestry program became an unqualified success, providing both food and income and spurring the people to take on an ambassador role, spreading their message of forest conservation and sustainability beyond their territory. This work began accelerating in 2007, when the Apiwtxa Association with the help of the Manitou Foundation purchased 87 hectares of degraded land near the village of Marechal Thaumaturgo and built the Yorenka Atame School to educate neighboring communities on sustainable development practices such as agroforestry. 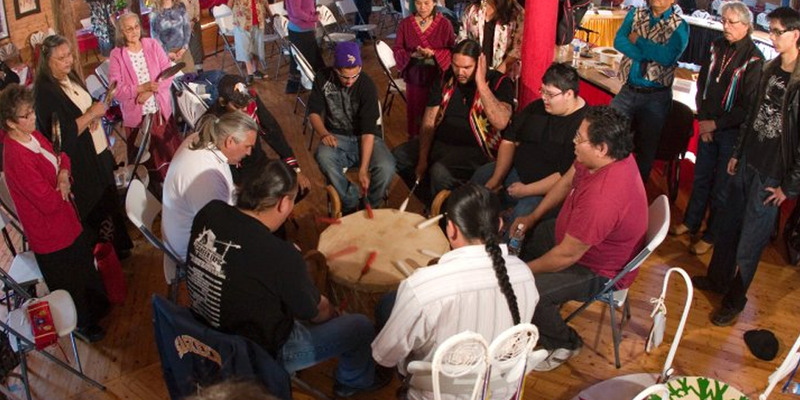 Over the years, Manitou has provided financial support to The Turtle Lodge, a place for sharing universal and ancient knowledge, for reconnecting ourselves to the Earth and Nature, and also, a place for sharing among people of all races and nations. The Turtle Lodge offers children, youth, adults and elders the opportunity to come together in a sacred environment for: traditional teachings, ceremony, healing, and sharing of the perspectives of the original peoples of Turtle Island on how to have a good and peaceful life. The Turtle Lodge in Sagkeeng First Nation was built in fulfillment of a vision received by Elder Dave Courchene Jr. while still a young man seeking his vision many years ago. For the original peoples of America, visions and dreams have always offered guidance in life and helped maintain the connectedness to the Great Spirit and the land. 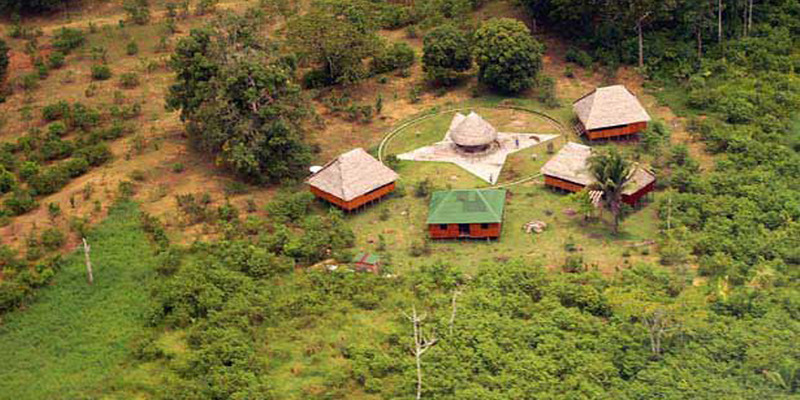 The Turtle Lodge is founded upon spiritual, land-based teachings that bring balance to life. It has been built for our children ~ the center of our lives. Our fundamental goal is Mino-Pi-Mati-Si-Win – A Good and Peaceful Way of Life. The Turtle Lodge is based on the Seven Sacred Laws and the Eight Paths of the Medicine Wheel, the ancient universal values of the Anishinaabe People of Turtle Island (North America). 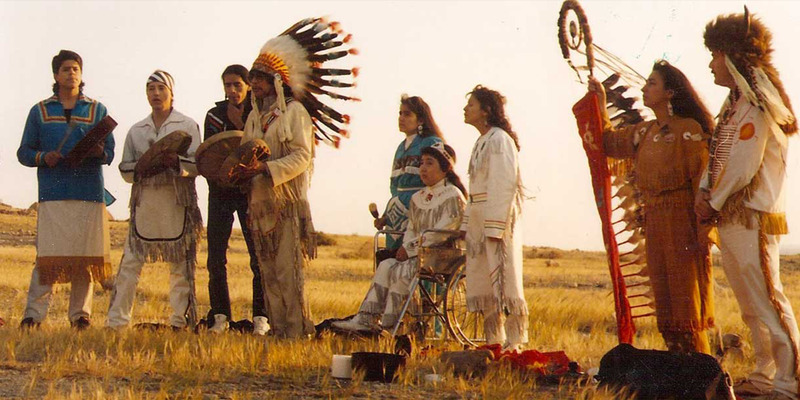 Ta S’ina Tokaheya Foundation – was established in 1989 on the Pine Ridge Indian Reservation. Ta S’ina Tokaheya, meaning ‘First Robe’, is the Lakota name of the founder: Michael Burns Prairie Sierra, a member of the Oglala Sioux Tribe. Michael had been searching for many years to find a way to address the third world living conditions present on the Pine Ridge Reservation. Ta S’ina Tokaheya Foundation promotes economic self-sufficiency through sustainable/organic farming, seed-banking based on traditional farming practices, and Ti O’sapaye development (sustainable community development based on traditional Lakota models). Green building and wind energy enterprises were incorporated. By utilizing affordable and sustainable lifestyle alternatives and reviving and incorporating traditional Lakota principles, this model has served as an example and opportunity to improve the quality of life for other reservations and non- reservation communities. A key component of Ta S’ina’s work was the creation of a Native American seed bank to preserve ancient seed species. These seeds are vital to providing a consistent, reliable, and healthy food source. Traditionally, the Lakota were nomads who obtained their food primarily by hunting buffalo and harvesting wild-crafted foods. Eventually they adopted native farming practices from surrounding plains tribes. On reservations today, however, the Sioux diet, like that of most tribes throughout North America, is heavily reliant on federal food commodities. Every registered member of the Sioux Tribe receives white sugar, white flour, powdered milk, eggs, lard, coffee, and canned meat. As cultural traditions eroded on reservations and government food subsidies replaced the incentive for practicing sustainable food production, traditional diets based on hunting/gathering and agriculture vanished. As a direct result, death rates from diabetes, obesity, heart disease, and cancer have soared among Native Americans. However, preliminary studies have indicated that this trend can be reversed by a return to the ancestral Native American, Paleolithic diet of protein and fiber found in corn, beans, squash, grains, greens, venison, bison, and other wild-crafted foods. The traditional diet, high in fiber and protein, normalizes blood sugar levels, suppresses cravings for processed foods, and significantly reduces the occurrence of diet related diseases. Over the past two decades, Ta S’ina Tokaheya Foundation has focused its activities on the collection and cultivation of endangered seed species to preserve crops that have evolved in Native American cultures. The ultimate value of seed-banking native seeds is to preserve the inherent genetic memory they possess. This genetic memory contains a natural resistance to harsh climate conditions and an inherent resistance to pests and disease. These seeds are extremely hardy and reliable and are naturally acclimatized to particular bioregions; they are also high in nutritional value. Manitou Foundation has provided both financial support and technical support- sponsoring specialists in the field of seed banking to further Ta S’ina Tokaheya’s mission. Addressing the world through a live telecast from the United Nations General Assembly Hall, these revered leaders demonstrated their united commitment and determination to work together to eliminate the causes that perpetrate violence and lead to war. The goal of the World Peace Summit of Religious and Spiritual Leaders was to create a forum by which preeminent leaders of all the world's great religious and faith traditions can come together at the United Nations for the first time in history to commit to concrete actions for the achievement of world peace. This commitment has been embodied in a Declaration for World Peace that participants signed and that specified actions to be taken. Maurice and Hanne Strong worked closely with Ted Turner, who was the visionary behind the Summit and the primary funder and also worked with the Office of Secretary-General, Kofi Annan. August 9 is commemorated as the International Day of the World’s Indigenous Peoples in recognition of the first meeting of the United Nations Working Group on Indigenous Populations in Geneva in 1982. Each year this day is celebrated around the world. A commemorative event is also organized at the United Nations Headquarters in New York by the Indigenous Peoples and Development Branch – Secretariat of the Permanent Forum on Indigenous Issues, which brings together indigenous peoples’ organizations, UN agencies, Member States, civil society, academia and the general public. 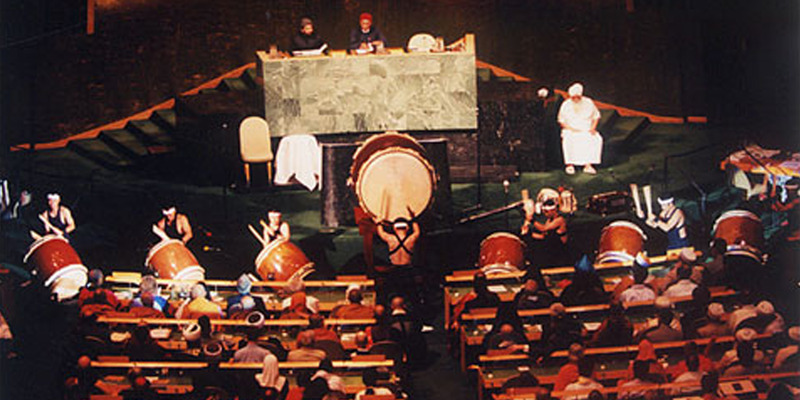 In 1993 Mrs. Strong was invited by TAMA Life 21 to give the keynote speech addressing the first UN International Year for the World’s Indigenous People to take place in Japan. Mrs. Strong organized a delegation of Indigenous Leaders and Wisdom Keepers to participate in TAMA Life 21’s Conference including Jeanette Armstrong: Native American Writer, Clifford Rabbitskin: Sun Dance Chief, carrier of sacred songs and medicine, Dave Courchene II: Spiritual Leader of the Anishinaabe, Dave Courchene III: Youth Advisor, Basil Goodchild: Spiritual Leader and Fred Campion: Spiritual Leader and Medicine Man.